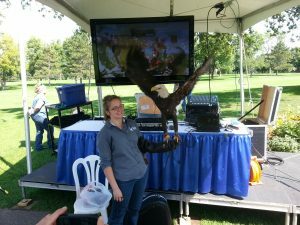 A Bald Eagle spreads its wings at Tee it up for the Troops 2013. 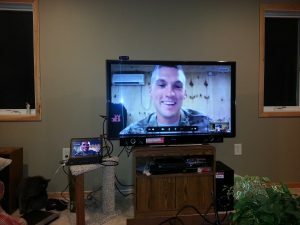 A unit from the Minnesota National Guard in Afghanistan is on the big screen TV. 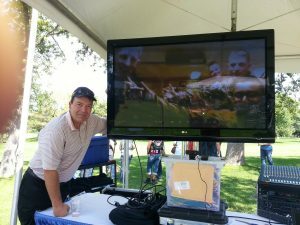 The TV screen glare looks bad in this photo, but was not a problem for the live audience.